Un bon restaurant libanais ! Service impeccable, le restaurant est très propre. 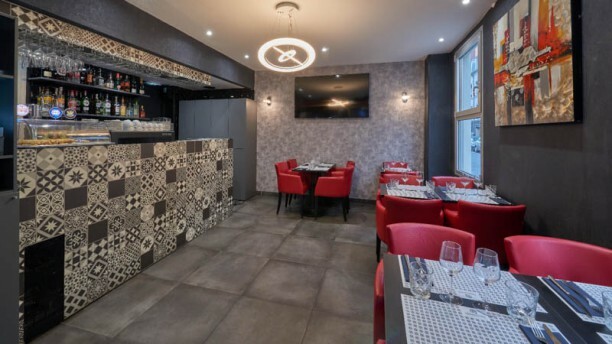 Bon restaurant ,que je recommanderai à mes amis . Starters were fine and good. We were disappointed by our main for which we chose an assortment of hot and cold dishes. In fact, these were simply a bunch of cold starters grouped together into one plate. I would simply have put "assortment of starters" on the menu to make it clear. Would have liked to try some of the "real" main courses, since they looked pretty tasty. Due to the good starters and the fact that I have no idea how the mains actually taste, I'll recommend the restaurant! Cold mezzes were so much better than hot ones. Bon resto, et service sympa !